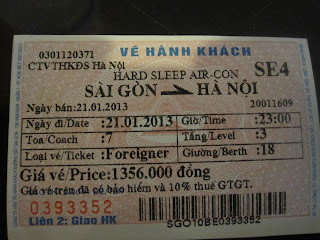 If you have the time I would definitely recommend taking the train from Saigon to Hanoi. You can use it to travel up the coast and stop along the way, or if you have a couple of days it does take 2 nights if you don't want to stop anywhere. 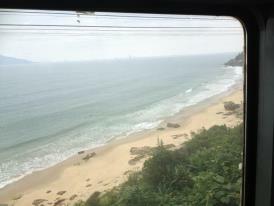 It's a great way to see the beautiful coastline and countryside of Vietnam. 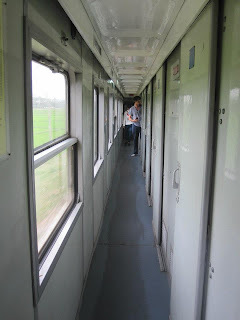 There are different room types on-board but the one we stayed in was a 6 berth cabin, hard beds and with A/C. This is the cheapest cabin type. Price also depends if you want the top, middle or bottom bunk. Price is cheaper the higher the bed. 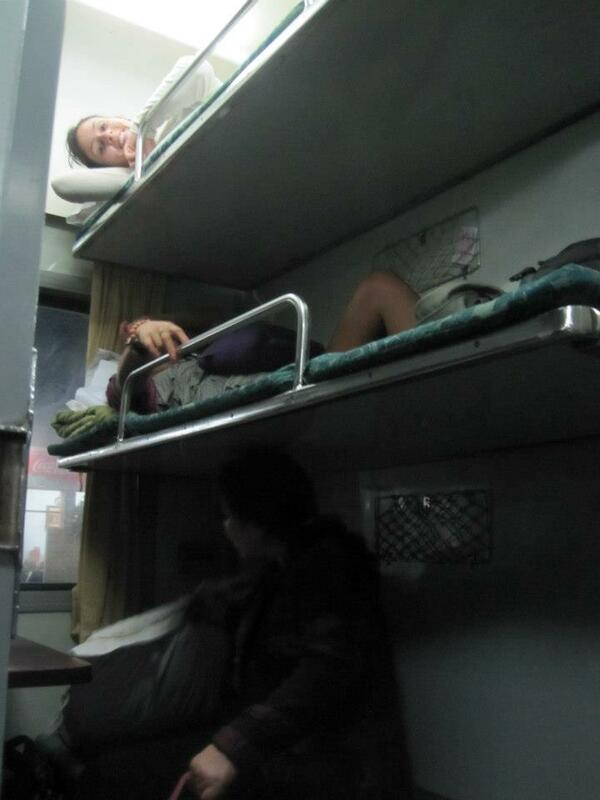 The cost of this train from Saigon to Hanoi cost 1,356,000VND for the top berth (roughly USD$65) or 1,594,000VND for the middle bunk (roughly USD$76). The beds are reasonably comfortable even though they say they are 'hard beds'. It comes with bedding (pillow and a blanket). 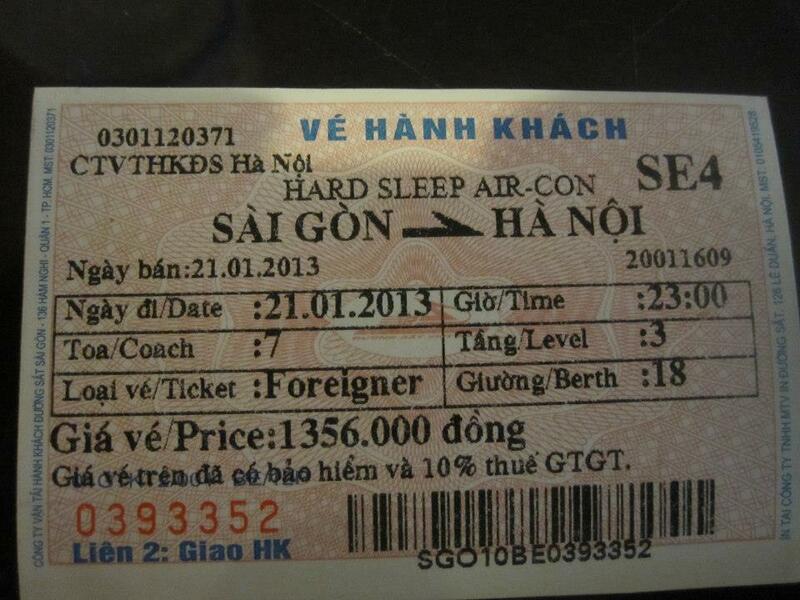 The train leaves Ga Saigon at 11pm and arrives into Hanoi 2 days later at 5.30am. To purchase these tickets you just need to go to the train station itself. The lady that served us didn't speak much English but with a calendar, calculator, some diagrams and just hearing the two cities there were no problems. (However, initially we did think it was an overnight train so were surprised when we found out on board it was a 2 night train! That was the only thing that was hard to specify with the language barrier. It all turned out okay, though). If you forgot to bring food on board there is a food and drink cart that goes through the train about twice a day. The food offered is traditionally Vietnamese but delicious nonetheless. This costed roughly 50,000VND so about USD$2.50 for the food and about the same or slightly less for drinks. 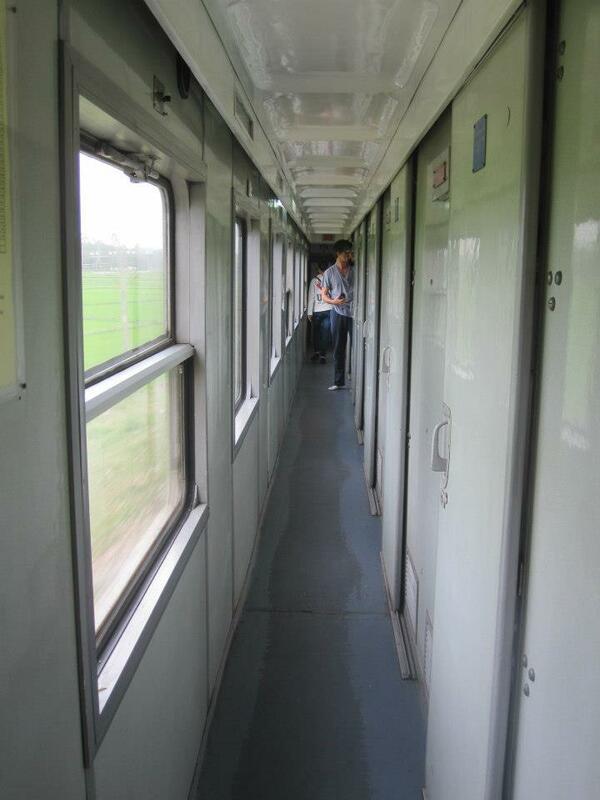 Otherwise you can quickly run out when the train stops at a station as there are many stalls along the tracks. There's not much of a selection and it's best if you can get on the good side of the conductor as he'll keep an eye out for you to make sure you're back on board before they depart. TIP: Taxi drivers will come ask to take you to your destination as soon as you step foot off the train. I recommend leaving the station and try to flag a cab outside or further away on the street. 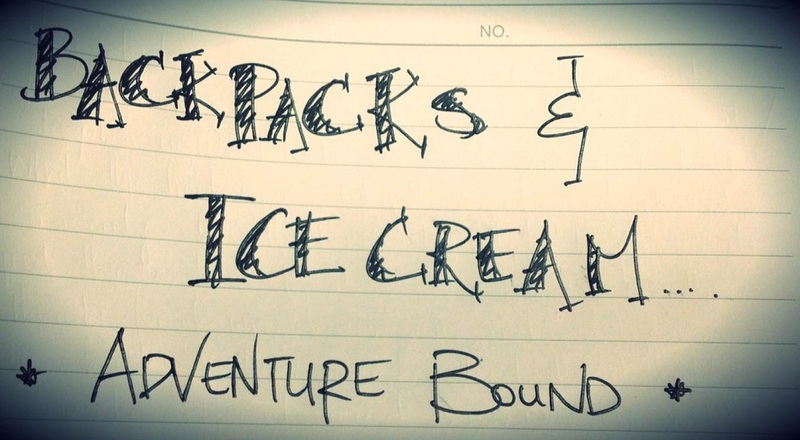 Make sure they are metered as well and if you can find a way to Google Map where you need to go, you can make sure that they're not just taking you for a ride!